Quintana Roo, Los Cabos and Riviera Nayarit—what makes these three of the hottest destinations in Mexico? We asked Quintana Roo’s Dario Flota Ocampo, Los Cabos’ Rodrigo Esponda and Riviera Nayarit’s Marc Murphy, as well as Apple Vacations and Delta Vacations. Ask Apple Vacations’ current president Tim Mullen what destinations are hot in Mexico and he immediately points to Cancun—which experienced a 4 percent increase in tourism thus far in 2018 compared to the same period last year—as well as the Riviera Maya. “They continue to perform exceptionally well for us, but Playa Mujeres, about 20 minutes north of Cancun, is particularly hot right now. This newly developing stretch of beach is home to some truly spectacular accommodations, including Secrets and RIU-branded resorts, as well as the brand-new Grand Palladium Costa Mujeres. Travel advisors can also look forward to Paradisus Playa Mujeres, which is scheduled to open in April 2019. Trendy Isla Mujeres in Quintana Roo. Cancun and the Riviera Maya are the best-selling destinations within Mexico for Delta Vacations, as well, according to Elizabeth Moriarty, v.p., product development for Delta Vacations. Moriarty adds that overall, Mexico is their second best-selling region, topped only by the Caribbean. 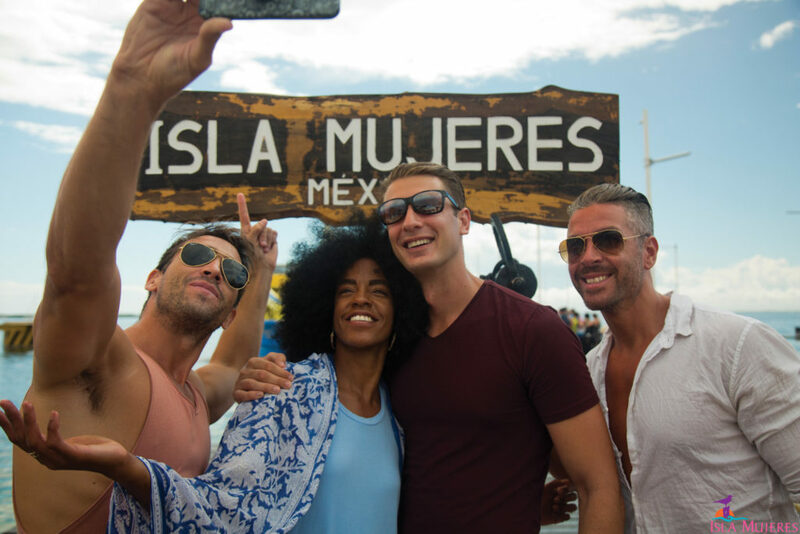 With that in mind, Delta Vacations, says Eric Fandek, sr. director of product development for Delta Vacations, has added new personalized experiences in Mexico. “One of my favorite experiences,” he says, “is one in which you’ll be able to immerse yourself in the culture of Mexico.” The experience has visitors going to the market with a local chef to pick food for a meal that everyone prepares and enjoys together. 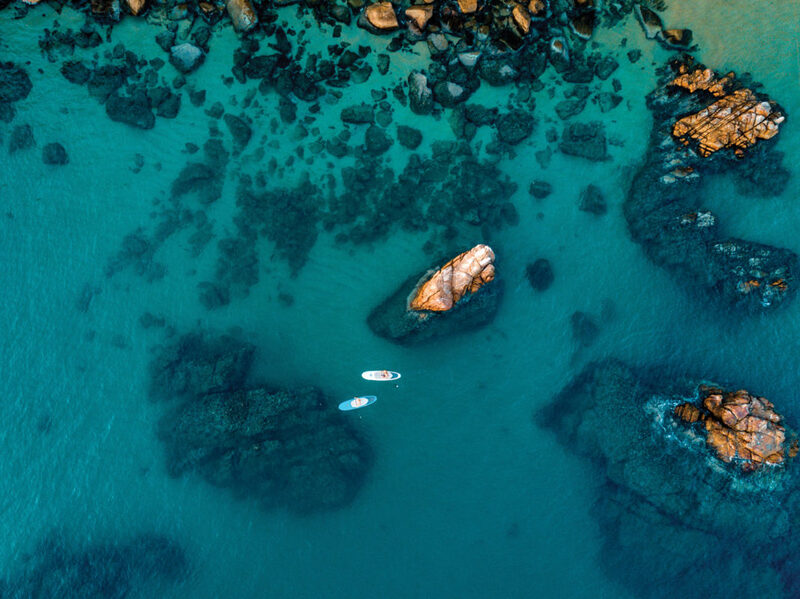 The team at Delta Vacations also points to Los Cabos as one of the hottest destinations in the country, one which boasts “award-winning resorts,” notes Rodrigo Esponda, managing director of Los Cabos Tourism Board. That’s one of the many reasons, he says, that Los Cabos is a hot destination for U.S. travelers. “In fact,” he says, “Los Cabos is Mexico and Latin America’s premier luxury destination, uniquely owning one of the highest concentrations of five-star hotel brands around the world. 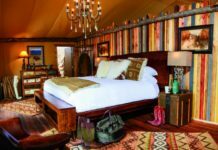 The destination is set to welcome 22 new resorts—some of the newest include Le Blanc Spa Resort Los Cabos and Montage Los Cabos, both of which opened in June; Zadun, a Ritz-Carlton Reserve, set for a late-2018 opening; and Nobu Los Cabos, scheduled to open in spring 2019.” He adds, though, that there’s a lot more to Los Cabos than sumptuous accommodations. 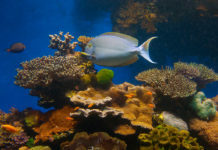 There’s also its “culinary offerings, considered some of the finest available anywhere, its vibrant arts and culture scene, rejuvenating spas, and world-renowned sportfishing tournaments.” Esponda says that he’s certain 2019 will be a banner year for the destination with a $60 million enhancement to the Los Cabos International Airport set to be completed next year, and added air service. 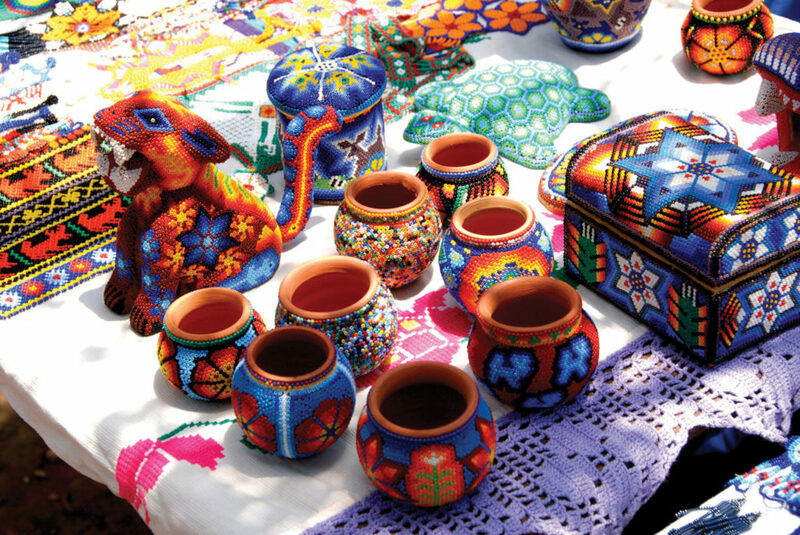 Huichol handicrafts in Riviera Nayarit. and resource-wise systems, Imanta Resorts uses “green” roofs on the buildings as well as systems that help maintain ideal temperatures in the suites year-round.